As global warming becomes a hot topic in recent years as green house effects getting faded because of the pollution released by humans, red alert has been issued by several governments all across the globe in order to control the pollution. On accounting to that, current Indian government ruled by NDA too taken various steps to reduce the emission of pollution particularly on utilizing the non proper fuels as cooking fuels and recently central government of India plans to implement the Green Urban Transport Scheme in order to reduce the air pollution caused because of the emission of the carbon smoke from regular fuel. Majority of developing countries facings pollution as major problem. Countries like India, where people still using the old method of non–proper fuels for their cooking and all other needs, owing to this air pollution gets increased to dramatic level also increases the indoor pollution causing harmful health hazards to living person in home. Also with the increasing number of vehicles in Indian roads causes high number of carbon emission which leads to green house effect and creates improper climatic change. Green Urban Transport Scheme also known as GUTS in short form which mainly focused to reduce the emission of harmful carbon gas from the transportation, especially from government owned transport facilities. Under this scheme, government plans to launch the eco–friendly transportation facilities which run without damaging climatic conditions. With the name of Green Urban Transport Scheme (GUTS) central government India, plans to launch new public transport facilities which emits low level of carbon gas just like metro rails, transport facilities which are non–motorized in urban areas across the nation. Where are this Green Urban Transport Scheme (GUTS) going to be implemented? The scheme mainly focuses on urban areas in which the transportation infrastructure going to be upgraded with the Intelligent Transport Systems (ITS) by doing so, respective government officials believes that people would prefer public transport instead of preferring individual mode to travel which would cost lot of pollution. Under this scheme, Urban cities which having total population of over 5 Lakh are considered for this Green Urban Transport Scheme (GUTS) by doing so, public transportation would get increase when compared with past. Since, the proposed scheme of Green Urban Transport is about to utilized the advanced clean technology in order to provide climatic friendly mode of transportation, the cost of the investment would be in high level. In order to tackle the investment problem, government of India plans to seek participation of private sectors for fixed number of years until the government manages the finance by its own. Government of India, have offered Rs. 25,000 Crore as the initial investment and seeks hands from private sectors to manage the project to become a successful one. 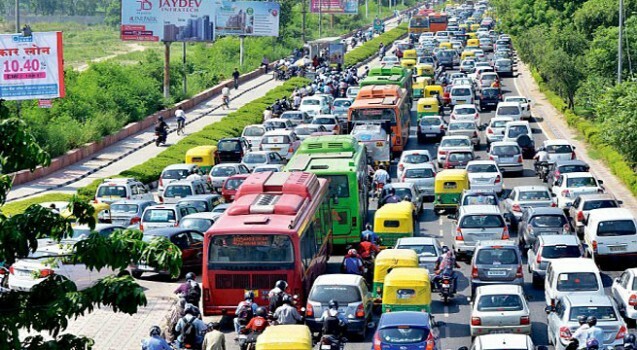 Experts across the nation have welcomed the decision taken by the currently government to implement Green Urban Transport Scheme (GUTS) in order to reduce the air pollution formed because of the transports. I am a woman entrepreneur working in the area of ‘clean energy’. I am looking for seed funding to develop a protoype to manufacture bioCNG from ‘organic waste to biogas plants’. Is there any provision under GUTS scheme to support this initiative?